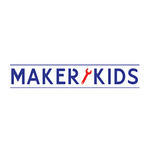 MakerKids is one of the only makerspaces for kids in the world. It’s a workshop space where kids can learn about and do things like 3D printing, electronics, and woodworking. We offer classes, camps, afterschool programs and more at our location in Roncesvalles in Toronto, participate in external events in the GTA and beyond, train educators, and develop curriculum for clients such as 3D Systems and Intel. We enable kids to build their ideas with real tools and materials; our goal is to inspire and empower kids to think, design, experiment and create. Our Board of Advisors includes Dale Dougherty (CEO of Maker Media, MAKE Magazine and Maker Faire) and Massimo Banzi (CEO of Arduino).